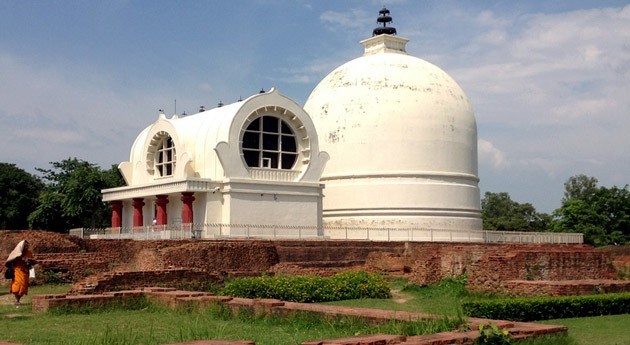 ﻿	Mahaparinirvana Express Train Tour – Buddhism Tour by Train. 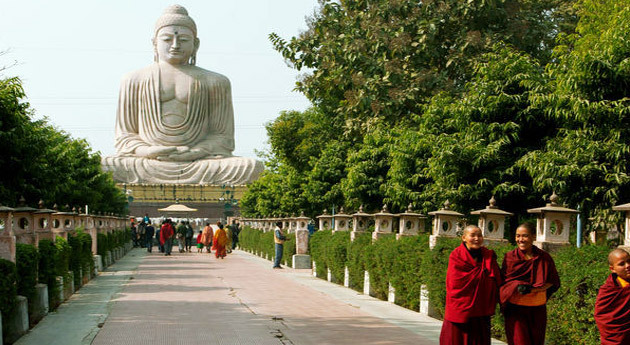 Founded and established by Lord Buddha, Buddhism preaches the path of non-violence, practice and spiritual development. A lot of people aspire to understand, follow and know more about Buddhism in order to bring peace and calm in their lives. 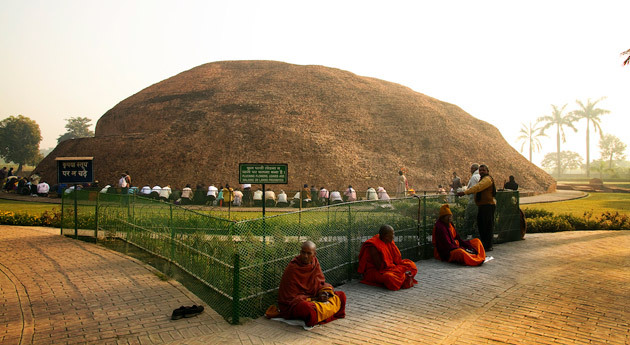 Traveling to the important Buddhist sites of the world helps in understanding and experience Buddhist teachings and lifestyle. To cater to the followers of Buddhism, Indian Railways Catering and Tourism Corporation (IRCTC) started the Mahaparinirvan Express in 2007. The Mahaparinirvana Express train tour, offering excellent Buddhist circuit tours, taking you through destinations of India and Nepal, includes 18 first AC, 92 two-tier AC berth and 256 three-tier AC births. It has to offer various facilities on-board, like private security guards for every coach, hygienic kitchen, medical facilities, language guide and many more. At 3 p.m., assemble at the Safdurjung Railway Station, New Delhi where you will be welcomed in a traditional manner. All check -in formalities will be completed. AT 4 p.m., the train departs for Gaya. Evening tea and dinner are served on-board. Overnight stay. Early morning, the train arrives at the Gaya Railway Station, where you disembark and hit the road to reach Bodhgaya (takes around an hour). On arrival, check-in into the hotel. 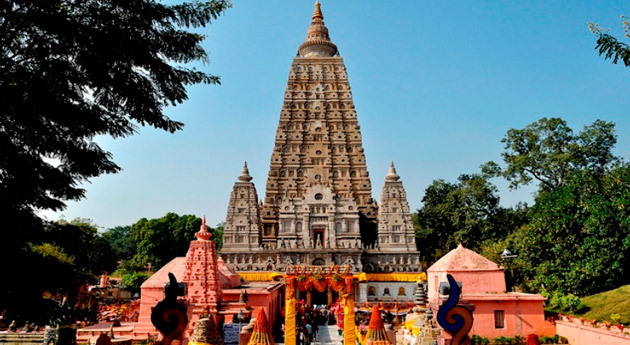 After freshening-up and breakfast, you leave for sightseeing of Bodhgaya, covering Mahabodhi Temple and Niranjana River. The afternoon is for visits to Thai Temple, Japanese Temple and Buddha Statue. Return to the hotel in evening for dinner and overnight stay. Post early morning tea and breakfast, check out of the Hotel to depart for Nalanda. Around 10:30 a.m., arriving in Rajgir and sightseeing of Bimbimsara Jail, Gridhakut hill, Venuvan. Post lunch in a city restaurant, journey to Nalanda for covering the ruins of the famous Nalanda University and Nalanda Museum. In the evening, journey to the Gaya railway Station to board the train for Varanasi. The train leaves at 11:30 p.m. Dinner and overnight stay on-board. On-board morning tea, and arrival at Varanasi. Check-in at the hotel for breakfast. 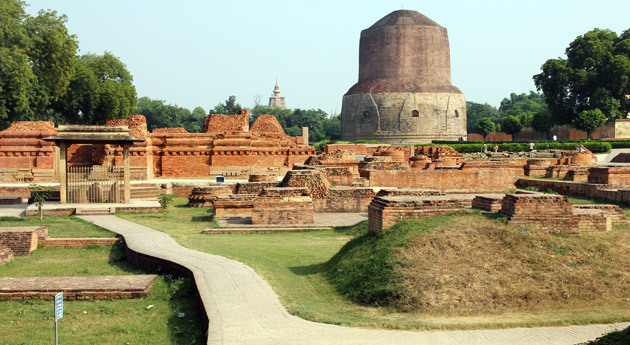 After freshening up, visit to Sarnath (10 kms) for sightseeing covering Dhamekh Stupa, Sarnath Museum, The Ashokan Pillar, Mulgandha Kuti Vihar. Post lunch, the afternoon is free for leisure activities. Evening is booked for visits to the Ganges Ghat for boat ride and evening Arti. Back to the Varanasi Railway Station, to board the train for Gorakhpur (224kms). Dinner and Overnight stay on-board. Morning tea on board. Arrival at Gorakhpur Railway Station. Assisted check-in at the hotel at Kushinagar. Post breakfast, visits to Mahaparinirvan Temple, Rambhar Stupa, Mata Kutir Temple etc. Lunch at the hotel and some free time. Evening is booked for a chanting and meditation session. (Subject to availability of instructors). Dinner and overnight stay at Hotel. Early morning tea and breakfast at the hotel. Around 6 a.m., boarding the bus for Lumbini (Nepal). We take care of all the paperwork formalities involved. On arrival at Lumbini, check-in at the hotel. After some rest and breakfast, visits to Maya Devi Temple, Ashokan Pillar and Pushkarni lake. At 4 p.m., departure for Gorakhpur to reach the Gorakhpur Railway Station. At around 8:30 p.m., boarding the train for Gonda. Dinner and overnight stay on-board. Arrival at Gonda Railway Station, early morning. After tea, boarding the train to reach Sravasti (65kms). On arrival, check-in at the hotel, for freshening and breakfast. Leave for sightseeing, covering Jetvana Vihara, Pakki Kuti & Sehat Mahet, Thai Temple. After lunch at the Hotel, check-out to go back to Gonda railway station for boarding the train. At 6 p.m., the train leaves for Agra (450 kms). Evening tea, dinner and overnight stay on-board. After early morning tea and breakfast on-board. On arrival, visit to Taj Mahal, one of the seven wonders of the world. In the afternoon, back to Agra Railway Station to board for New Delhi (220 kms) at 2:15 p.m. lunch and evening tea on-board. Arrival at Delhi Safdarjung Railway Station, around 6:30 p.m.